Property 7: SPACIOUS, MODERN, BEAUTIFUL! UNDER THE REDROCKS. GORGEOUS YARD & MEDICINE WHEEL! 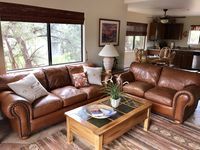 Property 8: Whole Vacation Home in Scenic West Sedona! Property 9: Karma Corner -Your Sedona Basecamp! Property 16: 'Sedona Happy House' w/ Patio & Red Rock Views! Property 17: Zen, Views Galore!!! Property 19: Trails and unobstructed panoramic views out the back yard! Quiet Comfortable Home, Spa, Fenced Private Yard, Grill, Views, Hiking & WiFi! Property 23: Quiet Comfortable Home, Spa, Fenced Private Yard, Grill, Views, Hiking & WiFi! Property 25: The Sedona View...absolutely the best views in town! Panorama Perch/Amazing Hilltop Views . Property 27: Panorama Perch/Amazing Hilltop Views . BRAND NEW REMODELED HOME WITH STUNNING VIEWS!!! Property 29: BRAND NEW REMODELED HOME WITH STUNNING VIEWS!!! Beautiful Home , Perfect Golf Gateway . SPECIAL RATE JUNE THROUGH AUGUST!!!! Property 30: Beautiful Home , Perfect Golf Gateway . SPECIAL RATE JUNE THROUGH AUGUST!!!! 180º Red Rock Views, 2 Wrap Around Decks, Central Location, Hikers Dream! Property 31: 180º Red Rock Views, 2 Wrap Around Decks, Central Location, Hikers Dream! Property 32: Hiking and biking dream location. It's Sedona's "oceanfront"! Harmony House a charming Sedona retreat. Property 33: Harmony House a charming Sedona retreat. Romantic, Relaxing, Rejuvenating - Awesome Views of Red Rocks! Property 36: Romantic, Relaxing, Rejuvenating - Awesome Views of Red Rocks! Property 37: Waterfall, Grapevines and Hot Tub with Views - Nice House Too! Centrally Located Kokopelli Villa With Stunning Views. Property 41: Centrally Located Kokopelli Villa With Stunning Views. 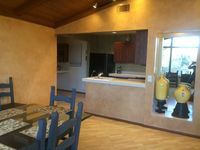 Property 45: Sedona Sweetness - Spectacular location and home! Walk to the trails and enjoy! Spectacular Red Rock Views & close to pretty much everything! Property 49: Spectacular Red Rock Views & close to pretty much everything! Gorgeous view of the mountains! Great location for this comfortable home. Well appointed with everything needed for a great stay. Thank you! Our family of 4 visited Sedona over spring break for 3 nights. It was super straightforward to book the property. Brenda was very responsive and helpful to all our questions. We arrived during daylight which was great for two reasons: there is a gorgeous view of Cathedral Rock and the valley plus the road is a bit curvy so it was nice to see ahead. For us, the location was exactly what we wanted: close to town but far enough away to have nature and hiking out the backdoor. The information binder in the house explained house details very clearly and also had helpful suggestions about eating, hiking and local attractions. We all liked our beds and slept great! We bought groceries at the Safeway (about 15 min drive) and thought the kitchen was well-stocked for our needs. We made several picnic lunches to enjoy on our hikes too. Our suggestion during peak times like spring break, get going early to beat the crowds. Many trailhead parking areas are full by 9:30 am. We appreciated the Red Rock Pass which saved us some time and money! We stayed in the local area to hike and shop but the house is also convenient for day-trips to Flagstaff, Jerome, and Grand Canyon. Thank-you Brenda and Michael for sharing your house and for a wonderful stay in beautiful Sedona!